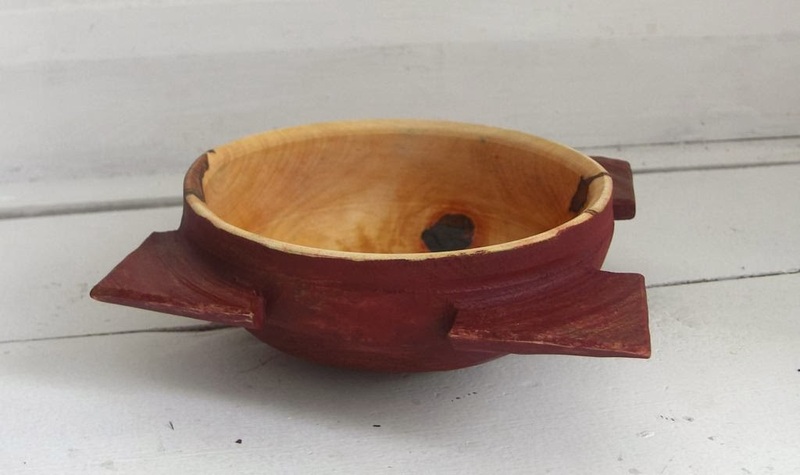 This is a style of bowl I have been meaning to try for quite a while. 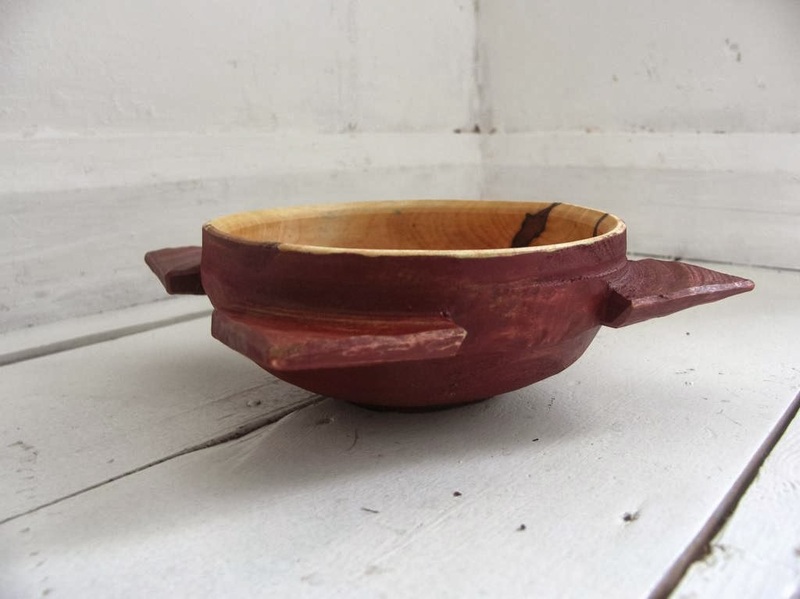 I've turned a porringer before with two handles, but had never seen this style until I came across the ones turned by Jarrod Stonedahl. apparently snibbskal is a Swedish word that means something like 'eared bowl' and refers to the handles that protrude from the sides. There is a great post on Robin Wood's blog with a better explanation and some fantastic pictures of old examples here. Not really knowing how to go about it, this was a bit of an experiment, but I'm pleased with how it turned out. I will definitely prepare the blank differently next time as this one was too close to the edges of the log, but it was a lot of fun to do and I learned a lot in the process. Finding the best way of cutting out the excess wood in-between the ears was a good test. I tried to use the axe first. I made two stop cuts and then chopped away. Even with the stop cuts I felt very nervous. It would have been very easy to split one of the ears off, so in the end I used a coping saw. The coping saw was fast and meant that there was only minimal finishing with a knife. 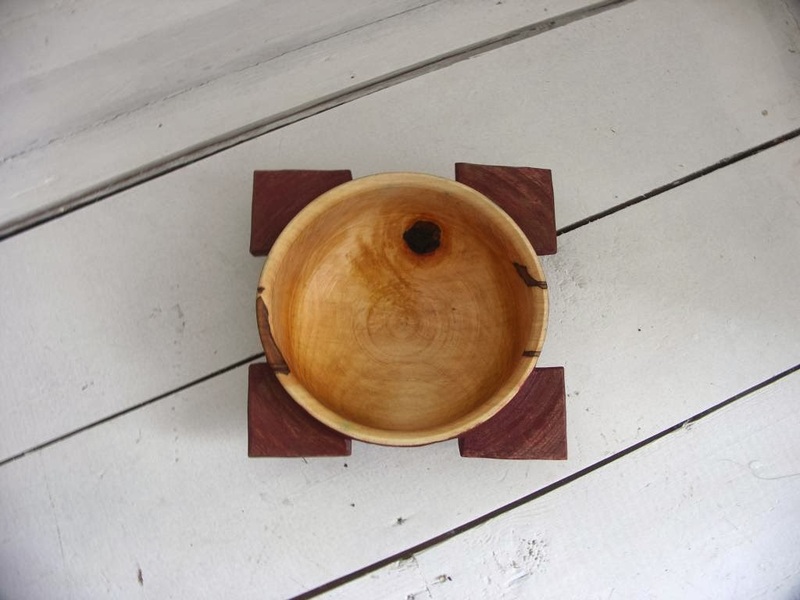 The wood is more of the knotty maple, as you can see. I decided to paint it in red over green.